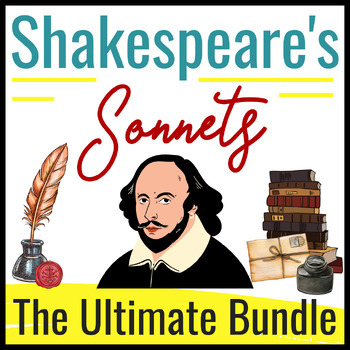 This bundle is the ULTIMATE Shakespeare Sonnet Bundle by Bespoke ELA. 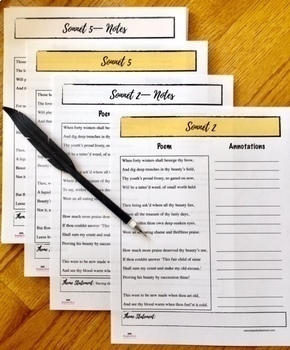 With over 100 pages of resources to help your students analyze Shakespearean sonnets, this bundle is an excellent addition to any unit on Shakespeare. 4. 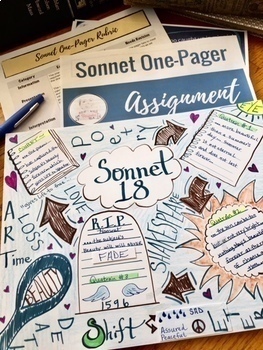 15 Sonnets INCLUDED with ANNOTATED KEYS! 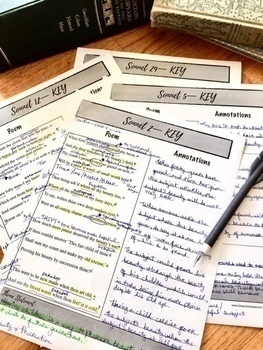 This bundle is designed to help students interact with Shakespeare's sonnets on a deeper level of analysis and understanding. Students will come away from this unit with a whole new level of appreciation for Shakespeare. This collection of lessons and activities is easily adaptable to your curriculum and level of students. Select the lessons that work for your curriculum map, and let Shakespeare do the rest!